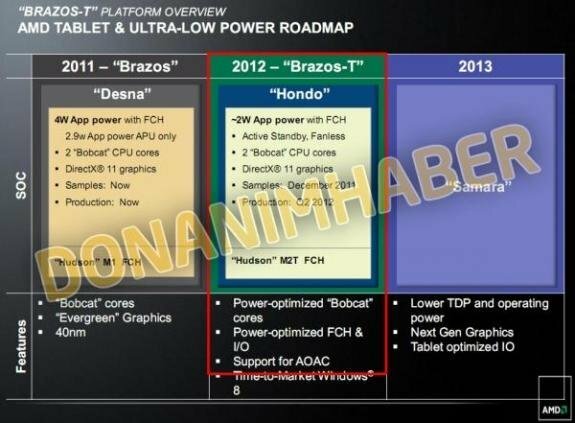 TC Mag reports AMD is working on Brazos-T, a new platform designed for Windows 8 based tablets. 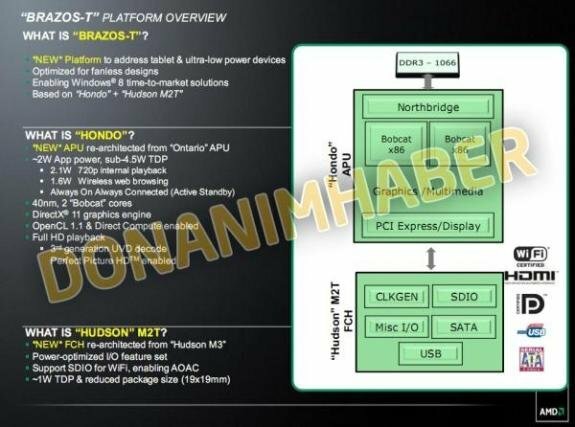 Expected to enter production in Q2 2012, Brazos-T will consist of the Hondo APU and the Hudson M2T chipset. 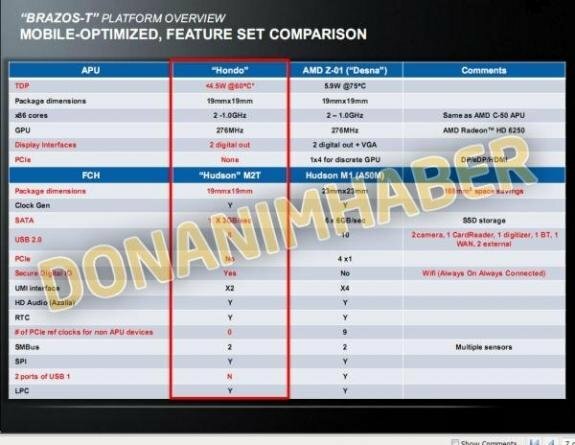 Hondo will be made on 40nm process technology and will share a lot with today's Desna APU - two x86 Bobcat cores clocked at 1 GHz and Radeon HD 6250 (DirectX 11) graphics, but, according the leaked slides below, it's going to consume less power (2W compared to 4W) and have a lower TDP (4.5W versus 5.9W on the Z-01) than its predecessor. In terms of computing power Hondo doesn't seem to bring anything new but it's obvious power draw will be lower and thus better suited for tablets. The Hudson M2T chip comes with a TDP of about 1W and is also 'power-optimized'.